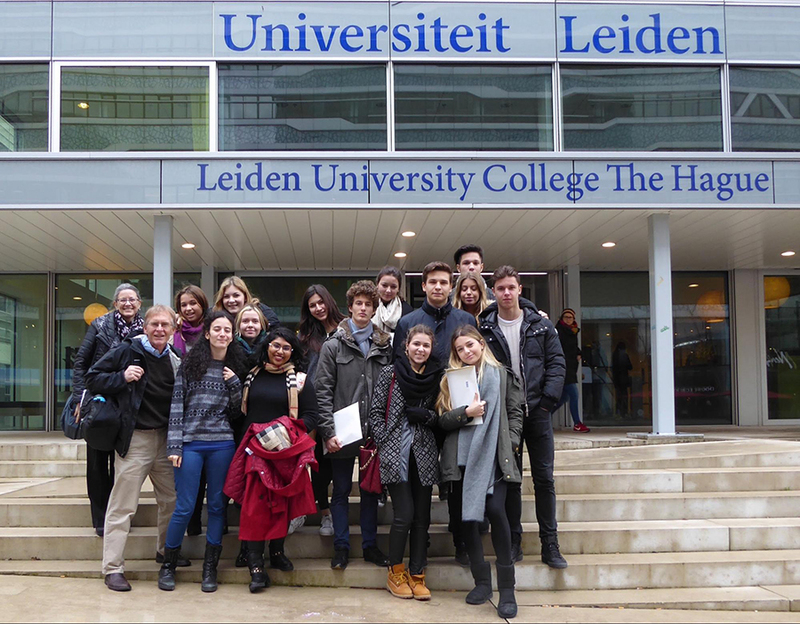 College Counselors Greg and Carroll Birk took 13 juniors on an Academic Travel trip to the Netherlands and the United Kingdom, where they visited 17 universities in just five days—Erasmus University Rotterdam, Tilburg University, Leiden University, Leiden University College The Hague, Hotelschool The Hague, Webster University, King’s College London, University College London, SOAS University of London, New College of the Humanities, Hult International Business School, INTO City University London, Newcastle University London, City University of London, Regent’s University London, London School of Economics, and the University of Sussex—and met with recent TASIS graduates at many of them. Anastasia Kolesnikova ’18 reflects on how this trip helped change the way she’ll approach the college admissions process. With every seasonal change comes a period of self-reflection. While it may be hard for students like myself to find any time between classes and activities to reflect, meditate, and breathe, it is an essential part of developing and progressing onwards. Often, we find ourselves overwhelmed with the tasks that everyone expects us to complete and the choices we have to make. One such choice is college. Deciding to go to a university or college is a large step that is often taken by others for us—since we were children, many of us have heard messages about how we have to do well in school and get into good universities and get good jobs and so on. What most of us and most of the people surrounding us fail to realize is that the sheer amount of choices and possibilities is agitating. There exist, though, small miracles, such as the Netherlands and UK University Visits Academic Travel. Speaking from experience, picking a list of universities I would like to apply to is like playing a version of Russian Roulette—only this time, if you miss, you lose. There are so many factors to take into account, and most of our search is based on predispositions and college websites. We lack any actual experience when it comes to post-secondary academics, college life, or any other factor we might want to take into account. There exist, though, small miracles, such as the Netherlands and UK University Visits Academic Travel. For a week, a group of students gets to go on a trip to both the Netherlands and the UK for the sole purpose of visiting universities and experiencing university life. This trip provides valuable insight into various structures of education, possibilities for post-school life in both countries, and general student life. One of the goals of my junior year is to be set to go on to university and to pick the aforementioned universities to apply to. I went on the trip with an open mind—while I had already looked into universities in the UK, there wasn’t much I knew about studying in the Netherlands, and that intrigued me. I thought this would be a perfect opportunity to find something new and explore a country I had never been to before. The trip was a hectic flurry of activity, for we had 17 universities to visit in the five days we were away. Every university we visited was unique—they all had a different background, approach to education, and atmosphere. Yet every university had its own appeal and specialty, which made it hard to choose a favorite. A few of my friends came on the trip in order to have their suspicions confirmed or denied, hoping that the trip would clear up their doubts, but came out with a crisis because they found universities they especially liked and had no idea what to do next. I do believe, though, that I had it easier than some of my friends—after all, I already know I want to study biochemistry, and knowing what you would like to study next is a key factor in determining what university to pick. This trip opened my eyes on education in the Netherlands. The country itself is small and picturesque and located in the very heart of Europe. 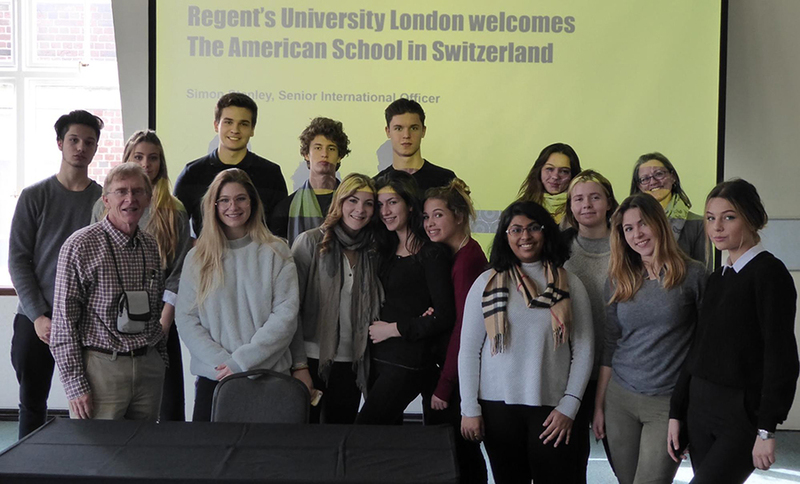 The people are friendly, the energy is great, and everyone speaks English—these are some criteria that many students look for in Europe but do not often get simply because a lot of European universities prefer to teach in the language of their country. The Netherlands is an exception to the rule, and what a fascinating exception it is. We had contact with many students from the universities, which guaranteed that we would see life and studying from a perspective not unlike ours. This connection really helped me understand life at university—the differences between it and what we have now—and it helped quench my fears and anxieties. I think the greatest part was realizing that the people at university are no different than us as high schoolers—they have their own tastes, they still like cake, and they still get excited at the prospect of free food. It was also fascinating to learn about the differences that are possible in university structures. In the Netherlands, the system is very much like the American system—you have a broad curriculum the first year and then begin to specialize according to your wants and needs. What was also interesting was learning about the various Liberal Arts and Sciences programs, which combine a few scientific and humanitarian disciplines in one balanced curriculum. Another key difference was the concept of a research university vs a “training” university. A research university in the Netherlands is what we would expect when we think of the word university—an academic institution where you slave away for years working on your thesis and then come out with a piece of paper called a diploma on which your whole future relies. A “training” university, on the other hand, is literally training for a certain career. These universities are very hands-on and may even be structured as the field that they train students for is; for example, Hotelschool the Hague is a university structured as a legitimate hotel, where students cook, clean, “receptionize,” and manage their inferiors (those inferiors are usually younger students). In the UK, on the other hand, you go in and specialize from day one. There is limited turning back once you have decided on your subject. Although some courses provide a vast overview of many subject fields, starting with math and transferring to English the next year or semester is either very difficult or impossible. It’s a risky business, but I believe that in the end, it pays off, and if you do get the bullet in the aforementioned Russian Roulette, then there is rarely a more challenging and rewarding curriculum you will have. This trip opened my eyes to new things and taught me a few lessons. One of the lessons is that everyone has the possibility to find something they like. The key is to do extensive research and make sure you are confident in what you have picked. The second lesson is to not be afraid to visit prospective colleges/universities and initiate contact with the students, for that can be rewarding and will save you a lot of hesitation and any doubts you may have about your choices. College or university is a great step. But it doesn’t have to be a scary one.